Master Sgt. Catherine Murray passed away in December at the age of 100. The first female Marine to retire from the U.S. Marine Corps was laid to rest at Arlington National Cemetery on Tuesday. (Lance Cpl. Damon Mclean/U.S. 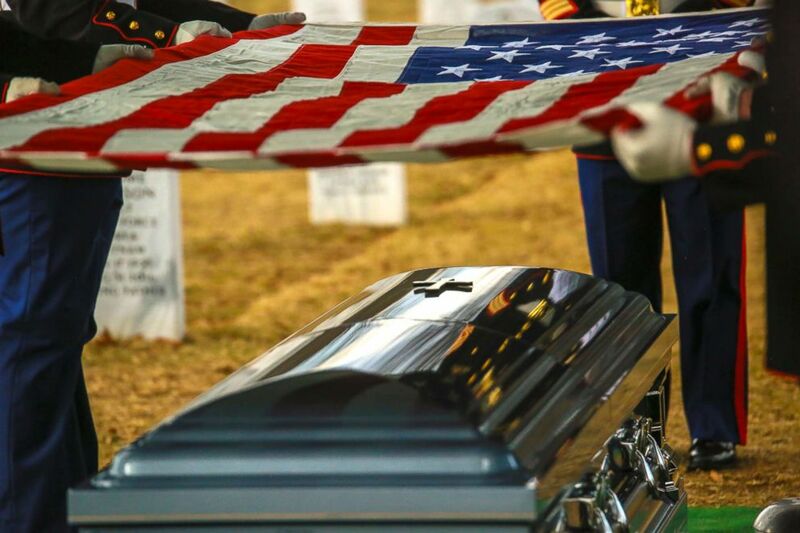 Marine Corps) Marine Corps Body Bearers fold the National Ensign during a funeral for Master Sgt. Catherine G. Murray, ret., at Arlington National Cemetery, Jan. 23, 2018. ABC News' Justin Tasolides contributed to this report.